Golden State Warriors head coach Steve Kerr and his wife, Margot, purchased a home in San Francisco’s Presidio Heights neighborhood for $7.35 million, according to public records. The house had been on the market with an asking price of $5.799 million. The roughly 4,000-square-foot house has views of the Golden Gate Bridge and the Presidio of San Francisco. The three-story home dates to the 1920s and has four bedrooms and 3½ baths. There is a fireplace in the living room, and the formal dining room opens onto a patio. The seller is the Patricia Christina Hellman Trust, according to public records. Mrs. Hellman, an artist and philanthropist, died in 2017 at age 83. She was the widow of private-equity pioneer Warren Hellman. Erin Thompson of Compass represented the seller, while Monica Pauli, also of Compass, represented the Kerrs. Steve Kerr, head coach of the Golden State Warriors. Mr. Kerr, 52, has been the head coach of the Warriors since 2014, winning NBA championships in 2015, 2017 and 2018. He was unavailable for comment. The Kerrs’ new home is walking distance to a Presidio Heights house that Warriors general manager Bob Myers bought in 2016 for $10.275 million, according to public records. Mr. Myers was also unavailable for comment. The Warriors are planning to move from Oakland’s Oracle Arena to the new Chase Center in San Francisco’s Mission Bay neighborhood in 2019. 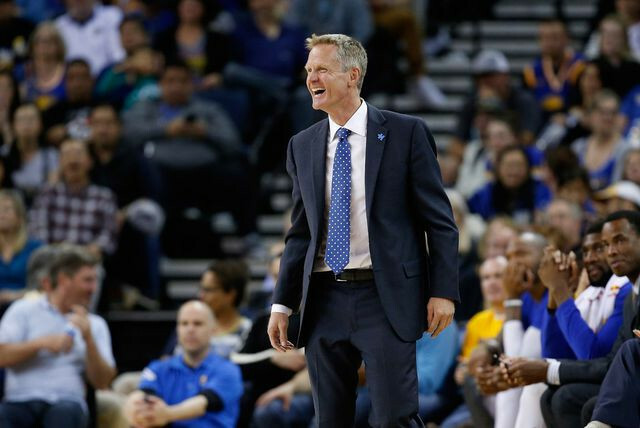 The post NBA Coach Steve Kerr Pays Premium for San Francisco Home appeared first on Real Estate News & Insights | realtor.com®.